This is my pattern for a basic fitted knitted beanie! This is the pattern I use when doing color work or other designs. I like to keep it simple & will be making lots of character hats from this pattern! This is a great project for a beginner! Cut off long-tail & thread tapestry needle. Enter each st knitwise & slide off needle. Pull yarn through middle & sew in. Pattern Notes: This pattern is easily adjustable. The brim & knitted portions can be knit the length you need. You can also adjust this pattern based on the materials you have. Adjust the stitches in multiples of 6. This hat fits standard adult size. 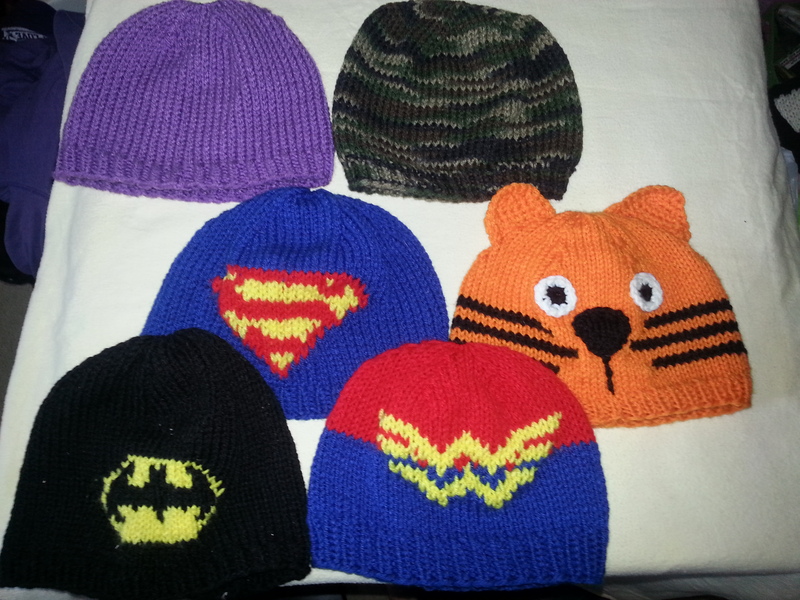 I would love the patterns for the Wonder Woman, batman, and superman beanies if you have them! 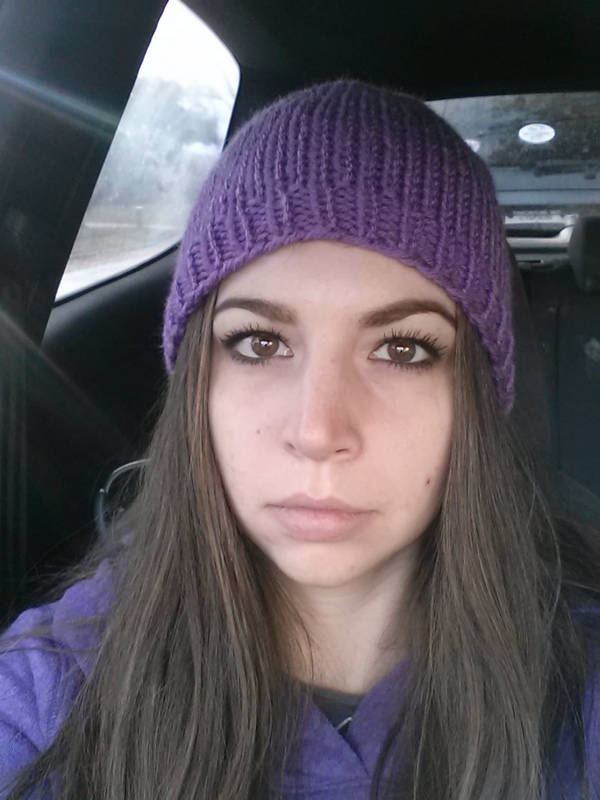 I am working on a plain blue beanie right now off of this pattern and absolutely love it! Thank you for sharing! Not sure if you’ll reply since this was a posting from a while ago, but could you tell me what yarn you used for the camouflage colored beanie? Hi! I love this pattern and video. This was my first hat and it came out perfectly. My question is, do I adjust the decrease if I cast on a different amt of stitches? I’m now using this pattern for a baby hat and cast on 60 stitches. Hi there. I am a newbie at knitting, and somewhat of a visual learner. Can you explain to me how you start the second row of the rib, please? I started with 66 stitches and did 1 row of K1P1…then when started the second row, started that with a pearl…but not sure what I did wrong..it didn’t turn out ribbed. I need to make a brain hat for my daughter for the science march and I want to use this as the base. Would it be the end of the world if my circular needles are 17″?